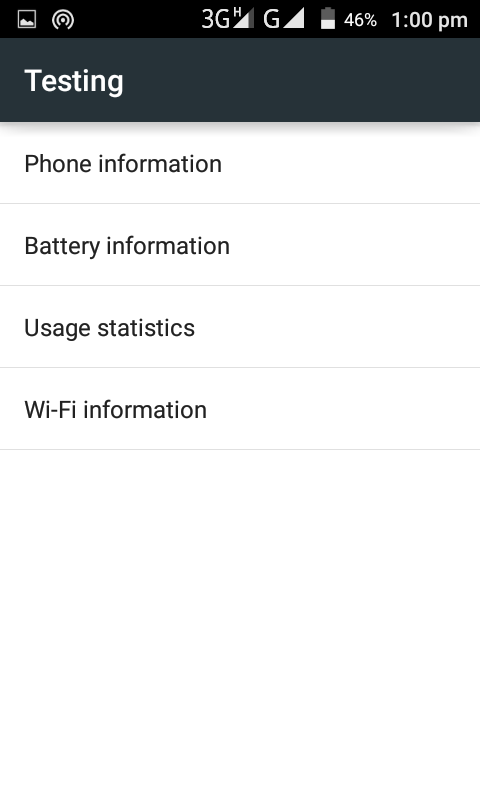 Home Android How to Fix the SMS bug on Android 5.0 Lollipop ? 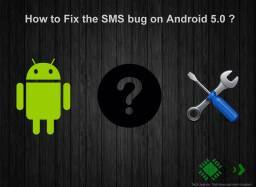 Hello readers, in this article you will be happy to know the fix for the nasty SMS bug encountered commonly on Android 5.0. Android 5.0 has many bugs in it, but it doesn’t deserve to be called out as a “Bugdroid“. It’s what our readers chose in a recent survey. Check it out here. Which Bug did you encounter? Well, there are two variants of this bug. One which doesn’t allow a user to send an SMS to anyone. And, the second variant sends the SMS, but it doesn’t go to the targeted recipient. It gets sent as an international message costing you more charges than normal SMS rates. This normally happens when you are on a Vodafone network or specifically Vodafone NL (Netherlands). But don’t worry, I have a fix for you. It can be achieved by running a magical USSD code through your phone’s dialer app. What do you mean by USSD code? USSD stands for Unstructured Supplementary Service Data. This is a protocol used by all the GSM networks for various services like menu-based information services, subscriptions and the network configuration options for the handsets ( which includes other types of handset configuration settings too). So, there are various USSD codes assigned for achieving different tasks. There are many hidden USSD codes, which find their use only to some rare situations. And one of them helped fix the SMS bug on Android 5.0. 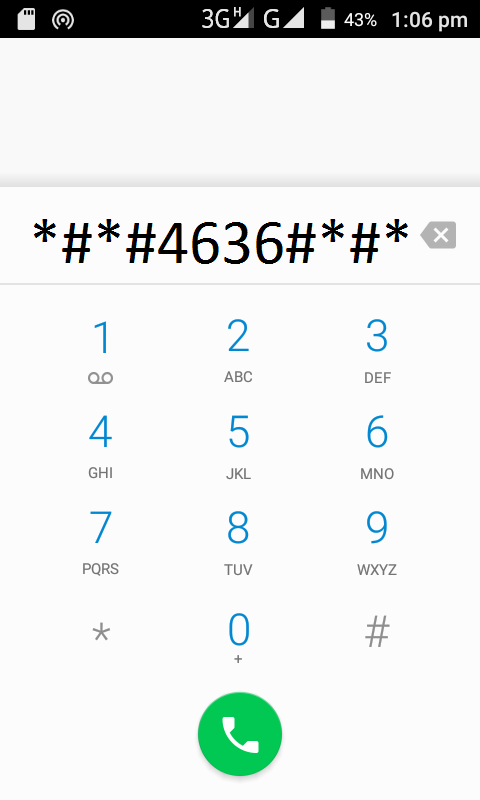 First, you need to go to the dialer screen or any other dialer app you use and make sure that you have your network provider’s SMS center number in your clipboard. Now, type “ ∗#∗#4636#∗#∗ “. Ignoring the quotation marks. After you enter the above code, you will be automatically directed to the Testing configuration options. Scroll down, till you find an SMSC field. Now, just paste the SMS center number from the clipboard in the given field and click on UPDATE. And make sure that the other options in the above picture must be same in your device if not, then just tap on them to change. Well, now as you have fixed the SMS bug on your device, enjoy the SMS service! Cheers ! Let me know your queries in the comments below. If you are encountering any other serious bug on Android Lollipop 5.0 don’t forget to mention that in the comments below! I will try to fix that as well! i have a micromax android A1, i recently upgraded to lollipop. when i try to send a message to multiple contacts then a popup message saying message not sent comes up, nd it tell’s me to activate the data connection, but when i send the message individually to the contacts then it works just fine. please help…. First of all for any type of SMS problem. Do what has been mentioned above. And still if you are encountering the same problem try doing a factory reset with backing up the data first. Android 5.1 was not reported with any bugs. So, there is no specific solution. You may refer any android forum for better solution if my tip doesn’t work. Try a factory data reset backing up your important data. The fix depends on the device. We all have an Android phone, but that undergoes some serious customization from the manufacturer’s side. So, the best thing you can do, is to restart the phone and try again. At best, try a factory reset (keeping a backup of your data) and try the fix again. Hope that helps! What dialer are you using? Is it the stock or a different dialer? However I have another problem. When I try and update the SMSC field and press UPDATE nothing happens. I press REFRESH and it changes code a little but I am still unable to save anything. Would really like to avoid doing a factory reset. Running Android 5.0 with Alliance 9 rom. Thank you for letting me know about the app. But, I’m afraid that either the custom ROM gives no space to fix the bug or you can try by doing a Factory Reset (which you’re not in a mood to do). I’ll follow up you on Twitter within the next few days if I find an alternate solution! Let’s hope for the best! Cheers ! I’ve also tried updating the SMSC # but to no avail. Nothing happens when I hit update or refresh. The number I entered simply remains unsaved in the screen. Are you aware of a solution to ensure the number CAN be updated? Nope. We haven’t got a solution for that yet. We hope it would be resolved after trying a factory reset (backing up your file previously). I have a Moto G I gen. I had this problem recently since I switched to a new sim card (LTE technology). When I try to set the SMSC number and click on update I get a “Update Error”. When I try to refresh, I get “Refresh Error”. Just tearing my hair away in agony :-(. Glad to hear that! And, Thanks for the solution to fix the update error issue! 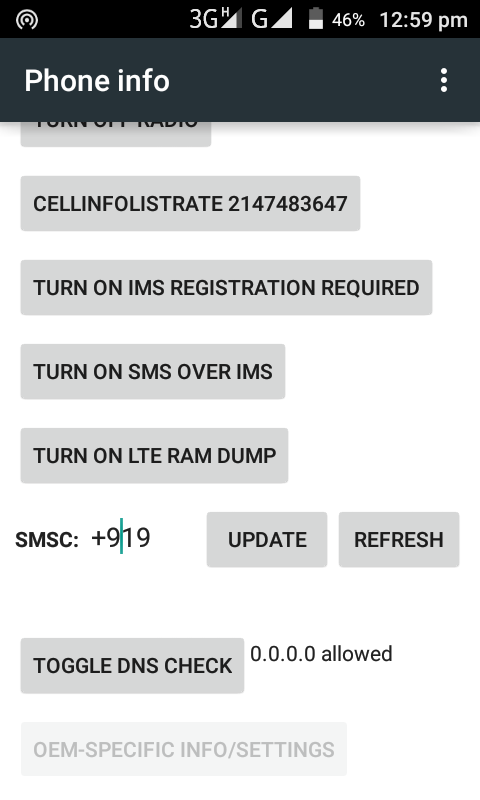 Will this fix sms receiving problem in my canvas 2 colors?? It should. You can give it a try and let me know. I got galaxy s4 I545 Verizon lollipop 5.0.1 and I am having the same issue with the messages once i get any message from someone then i can’t reply as it shows message failed.I have tried to use that code you have given above but sadly it is no working the screen remains still after typing the numbers. i did as you mentioned above but when update it shows update error it didn”t updated please tell me what to do ??? Plz suggest me a solution…I have alrdy talkd to d customer care but they r saying that everything is okay from their end. Hey, guys. Thank you for letting me know about the error. I tried this on my moto g and nothing happens. I get to the last pound sign and the whole thing vanishes from my dialer. Yeah. Well, it depends on the ROM. So, it’s the least you can do. If you can’t fix it with this then the manufacturer should fix it because it’s been a while and devices have already got Android 5.1 update at least. So, if you haven’t got that update, you should think about getting a device like Moto X Play, Moto G series or the original Nexus series. Hi, I am having issue with storing of SMS over sim cards. I am using xolo one lollipop 5.0 , when I try to save a SMS to sim cards it shows ” saved unsuccessful ” , please help to fix this problem. Hi, I am having the same problem on my Moto G4 plus, when i click the refresh button, the message center values gets displayed in the field. I hit update, nothing happens. When I come back to Phone information, the SMSC value field is empty again. Any suggestions? Well, Moto G4 Plus shouldn’t be having that bug. You can try checking the App permissions and enable the permissions required for the messaging app you’re using currently. Same here on One Plus 3, updating the number gives “error update” and i can’t send messages.. Thank you very much. Your post helped me so much. Hi I recently bought a samsung C5 phone made in taiwan. The problem that is occuring is that i am unabke to send messages from my phone. Some one told me to change message center number but there is no message center option in my phone. i tried to do the testing this (entered *#*#4636#*#*) but it says that number is not right and no testing menu showed up. I have no idea what to do with the phone. have reboot and restored the entire data. Im having a similar problem with Moto G2. Im able to do till refresh and update. After i click update, nothing is happening and when i open phone information again, it is blank. Hey I am getting error update and have also tried Siddharth ‘s formula but is not working please help!!!! Thank you for this answer it’s work very good. Glad you found it helpful. Cheers! Thanks, the method just worked for my phone. how can i fix my sms always message not send :3 i think my smsc is the problem. Greetings. I have a blu advance 4.0 L2 with Android 6, and I’m having the same issue. I tried your method and changed the SMSC number, but every time I go to the menu the SMSC slot is empty. Is it normal? or the number should always appear? Android 6.0 shouldn’t have that problem at all. I think it might be caused due to OEM’s customization on top of stock Android. So, the best thing you can do now is to contact your device manufacturer to help you with this. Report the problem and probably they’ll push an update to fix it. I’m confused as to where you find you’re smsc number? well, i guess i should say i don’t know what to do when i can’t find my providers smsc number. Hi, I am using Android Marshmallow device, I am not able send SMS from my device so I tried above method but I am getting “Update error” message. Could you please help me to resolve this issue. Finally , my problem is solved. I had tried many time with customer care suggestions, but they all were useless. And then you just post the perfect solution. You’re most welcome! Glad that worked out for you! And what if dealpad codes don’t work on your phone? Hello I am using HTC one x and I had changed the software with cynogenmod s/w. It worked fine for an year. But now the SMS is sent is not delivered or message sending failed. I followed your procedure but it shows update failed. I had also installed Google app allo but some contacts are not found. It works again! Thank you very much! !